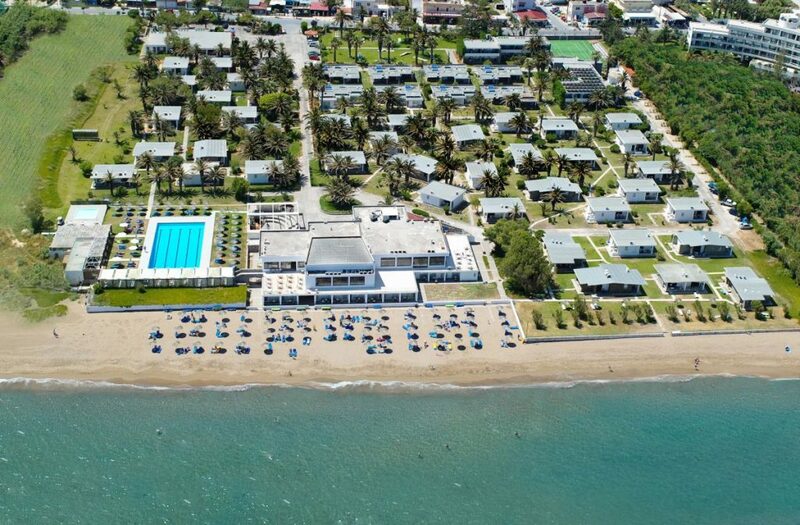 Panoramic view of Creta Beach Hotel & Bungalows. A Civitel Hotels & Resorts member, the four-star Creta Beach opens the doors of its ideally located resort at the beautiful Amoudara beach complete with restaurant, bar, amphitheater, kiddies playground, pool and sports facilities. Just 10 minutes away from the picturesque town of Heraklion, Creta Beach promises to be your home away from home, providing everything from top quality cuisine to the finest hospitality and services. For this summer, the hotel’s executive chef has created a unique menu of dishes incorporating Mediterranean and European tastes into recipes from the world-renowned Cretan diet. What’s more, Creta Beach’s minimalist bar is the ideal spot to chill out, indulge in special cocktails while enjoying superb views of the Aegean. 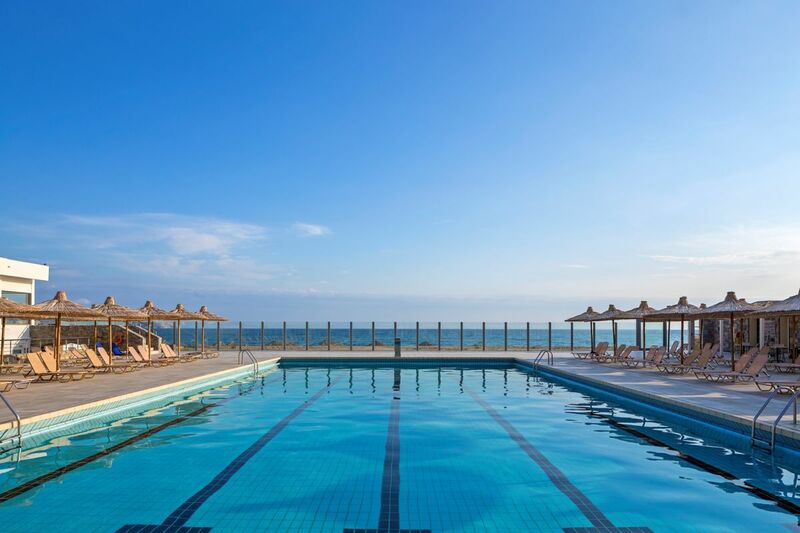 And if that’s not enough, a dive into the large outdoor pool, complete with superb sea views, is bound to keep you relaxed throughout the day. For the sport lovers, a variety of activities including mini golf, tennis, archery, table-tennis, beach-volley and darts, promise to keep you on your toes. Creta Beach Hotel & Bungalows is also an ideal destination for families thanks to its facilities and services for youngsters, including a kiddies pool, a playground, baby-sitting services and in-room baby cots. In the meantime, experienced multilingual professionals offer entertainment programs with many activities for children, while parents enjoy some private time.